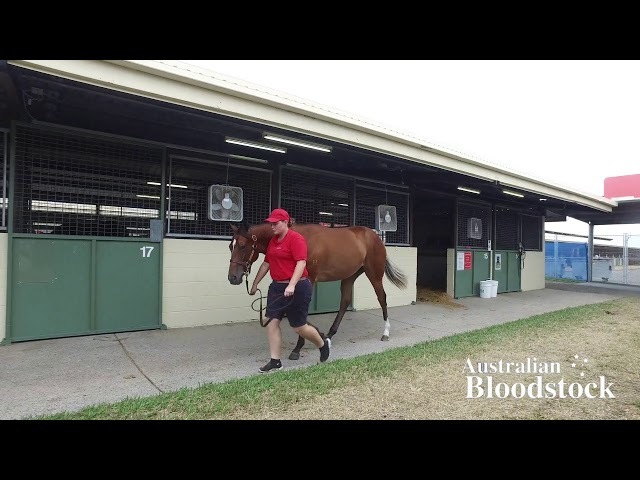 Lot 240 was purchased from ELEMENT HILL Farm, based in Queensland. Our personal records indicate that ELEMENT HILL have an exceptional Runners-to-Winners rate and have also produced a number of Stakes Performed Horses so we were very keen to look at all their progeny on offer. After inspecting 979 horses, Lot 240 remained in our `Top Ten’ based on physical inspection. Physically, for a 24th October foal, this filly is exactly what we wanted to see - a lovely big hip on her (which gives lots of power and propulsion), her hip had, to our eye, a perfect angulation that tied in well with her fetlocks and shoulder angulation. Impressively, she reminded us of a PANTHER on her feet with an exceptional ease of movement that we rarely see in Thoroughbreds. It is no secret that the key to the best performing race horses is athleticism. Therefore, we insist that horses have that extra X-factor and we think we have found that in this filly. She is nicely balanced and, physically, we feel she is a perfect specimen. The filly is by, in our opinion, the best Sire in Australia statistically since Danehill. Redoutes Choice has a staggering record for his fillies: 1 in 7 fillies win Stakes races and, for us, when you combine athleticism like this – plus a huge female pedigree – we think we can squeeze that 1 in 6 statistic even more with so much in her favour. 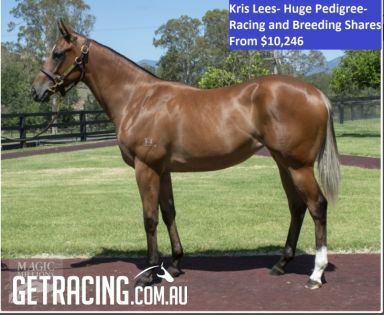 In our opinion this filly has a considerable residual value and, given this, we couldn’t not buy her. We were very pleased to outbid some very high profile bidders to secure her. Our plan is to send this filly to the best trainer of fillies and mares, we believe, in Kris Lees. Post-racing we foresee adding her to a broodmare band to breed commercially. With some even luck we think we can turn her into a profitable money spinner, hopefully on the track, but if not, certainly in the breeding barn. At stud she will be given every opportunity. TRACY'S IMAGE, by Encosta de Lago. Winner at 1200m in Aust. Half-sister to TYPHOON TRACY, RED ELEMENT, Kylikwong (dam of CANTONESE), Tracy's Choice, Traceable (dam of SHAFT). This is her second foal. Dam of 1 foal to race. CANTONESE (g Redoute's Choice) 7 wins from 1550m to 2400m, A$314,915, ATC Christmas Cup, L, Ascend Sales Trophies H., Masterfoods H., Waverley H., Tab.com.au H., 2d ATC Canterbury League Club H., Darwin TC Chief Minister's Cup, Sky Racing Metric Mile H., 3d Darwin Cup. Chateau Margaux (f Redoute's Choice) 5 wins from 1400m to 2050m, A$251,231, MVRC 1300 We Drive H., MRC Thomas Sabo Watches P., MVRC Corporate Interiors Australia H., Cranbourne TC Pinker Pinker P., 2d Geelong Cup, Gr.3, MRC Legacy Badge Appeal H., 3d MVRC WH Stocks S., Gr.2. Monteux (g Medaglia d'Oro) 5 wins from 1400m to 2400m, A$248,010, to 2017-18, MRC Ascend Sales Trophies H., BRC Help Enterprises H., MRC Melbourne Cup Tour P., SCTC A Pool Pro Stockist H., 3d Newcastle JC Spring S., Gr.3, BRC DA Ernst H., GCTC Taste the Difference H., SCTC Suncoast Valuers H.
Tracy's Choice (f Redoute's Choice) Winner at 1000m, BRC Mimiki Foundation H., 3d BRC Bright Shadow H., L. Producer. Eclair Fastpass (g Fastnet Rock) 5 wins-1 at 2-at 1000m, 1200m, A$45,975, S$414,504, Singapore TC Open H., Progress H., Emirates Amsterdam Progress H., 2d Singapore TC Krisflyer International Sprint, Gr.1, MRC Vain S., L, Singapore TC Kranji Sprint, L, 3d MRC HDF McNeil S., Gr.3, Singapore TC Open H.
RED BOMBER (g Red Ransom) 11 wins from 1200m to 1600m, A$608,510, VRC TAB Rewards S., Gr.3, MRC VOBIS Gold Mile, VOBIS Gold Sprint, Changing Places Real Estate H., Carlton Draught H., MRC (Mornington) Peninsula Cup, MRC Mayoral Charity Community H.
Ready to Fight (f More Than Ready) Winner at 1000m, MRC Race-Tech P., 2d MRC (Mornington) Window Warehouse H., 3d VRC MSS Security S., L, SAJC David Balfour Memorial H.